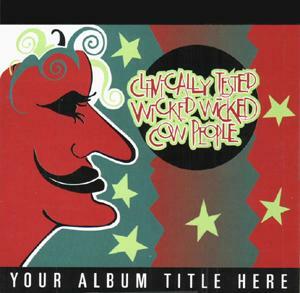 Clinically Tested Wicked Wicked Cow People Inc.
Clinically Tested Wicked Wicked Cow People…With a name like that what kind of description could you give? The band KISS was once described as Disney World on acid. So how about this: Take Faith No More to a three ring circus and have them watch the circus standing on their heads in the third ring. They are balancing themselves with one hand and eating cotton candy with the other. Oh, and they are surrounded by lions and being eyeballed by a nearby car full of clowns.